2008 New Year ceremony by Khangtsen monks. 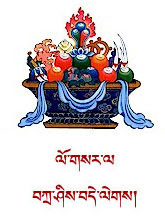 It is time again for Tibetans around the world to celebrate their Losar; this time- the Year of the Earth Mouse 2135. Tibetans and a section of Buddhists around the world celebrate Losar on Thursday, February 7, 2008. The celebration normally lasts for three days, and it all means time for geetings, togetherness and abundant festivities, and time for prayers as well.The word Losar is a Tibetan word for New Year. LO means year and SAR means new. 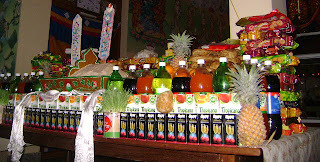 During 2008 New year we did few ceremony by our NGARI KHANGTSEN monks so we would like to share you some photos so hope you all enjoy to visit it... All of our monks praying you for success any duties & good health forever. HEARTLY TASHI DELEK !! !